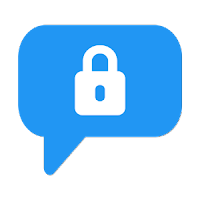 Private Messenger is one of the latest app for Android Apk to Block & Hide Messages from others in order to increase the security of your secret information. 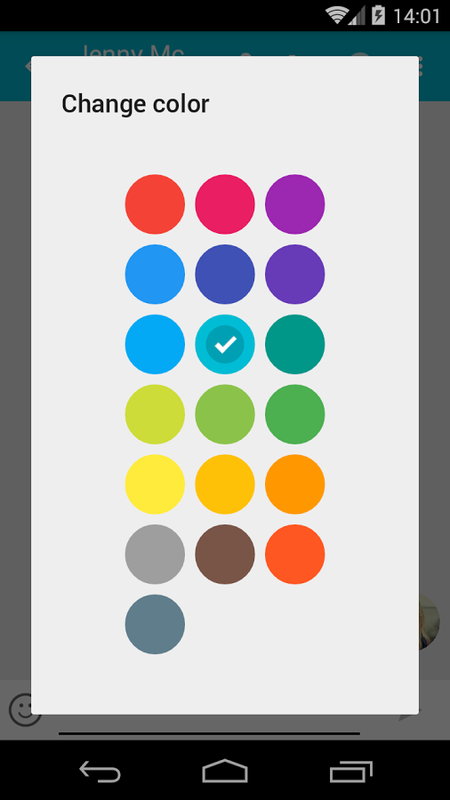 You can unlock the text/messages by applying the correct password pattern. 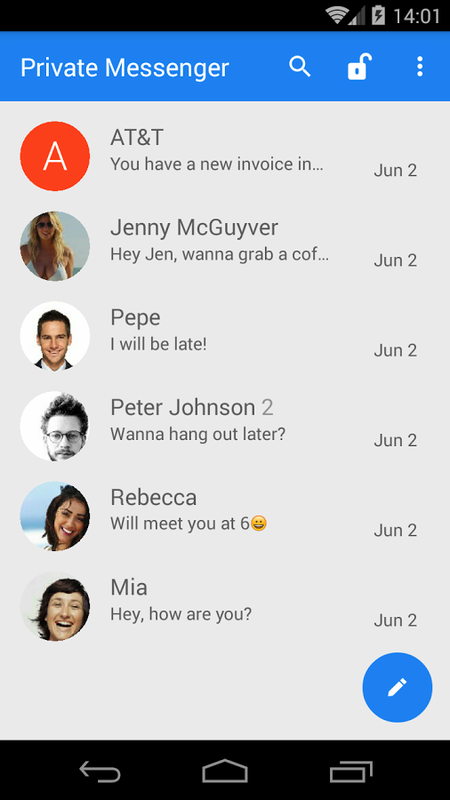 The User Interface layout designed is much attractive & responsive as compare to the other message lockers. You can lock your private sms using a pin code that will be required every time in order to take access to your conversation. 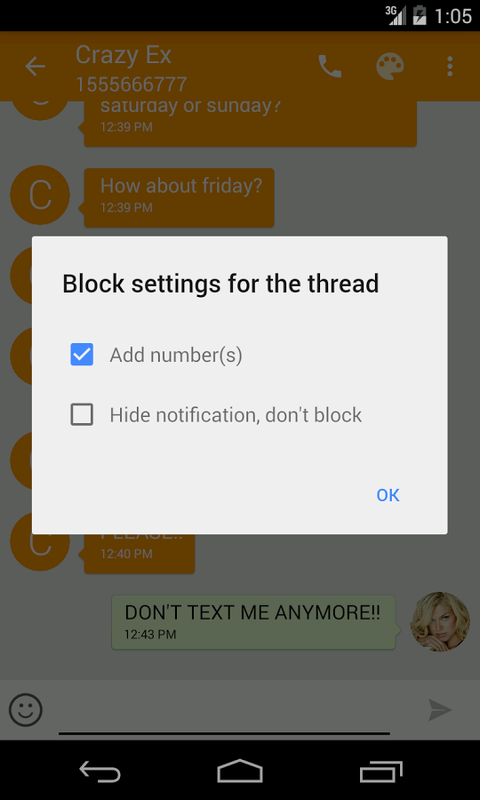 Private Messenger allows you to block any Sender Messages. You will have to configure settings for that.Once you blocked the number, you will never receive any messages from him. 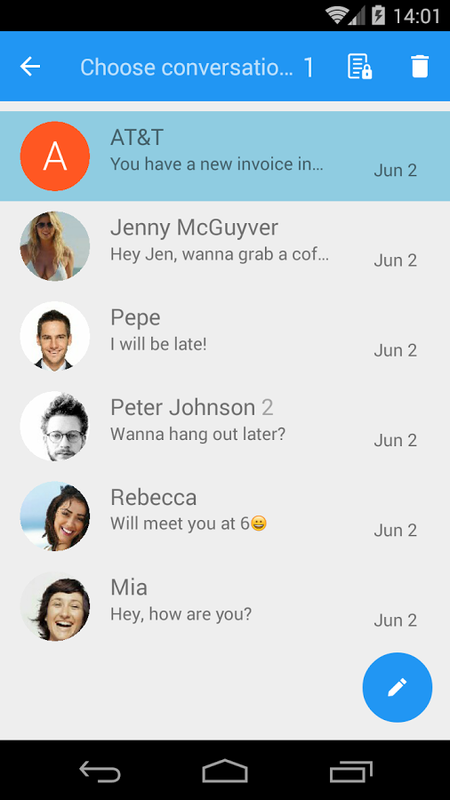 This app also allow group messaging so you can talk to many friends using this feature. 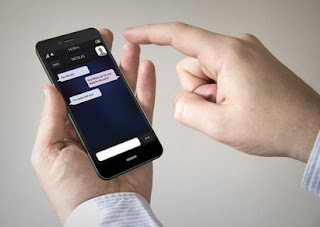 Block unwanted Sms. Keep your android phone away from Spam messages. Lock private messages from others in order to enhance to privacy. This app is working on Android having version 4.4 or higher. Must check your Android Version before Downloading.